"Do not think I that I have come to abolish the Law or the Prophets; I have not come to abolish them but to fulfill them" (Matthew 5:17). "And He said to him, 'You shall love the Lord your God with all your heart and with all your soul and with all your mind. This is the great and first commandment. And a second is like it: You shall love your neighbor as yourself. On these two commandments depend all the Law and the Prophets'" (Matthew 22:37-40). Jesus Christ is the only person to ever live in perfect submission to the Law of God. If you are a Christian, this should be as truthful to you as the reality that you are breathing right now. Jesus Christ was perfect. Not only did He keep all the external commands of God given to Israel, more importantly, because of our stone-like hearts, He did what we could not: He loved God and people perfectly. Jesus Himself says that the essence of the Law of God is love: "On these two commandments [of love] depend all the Law and the Prophets." The word picture here is of a hook or hanger on which all the other commandments hang. Furthermore, Christ says that He came not to abolish this law, but rather to fulfill it. It was not that Christ checked off the boxes of keeping the whole law that made Him worthy to be our propitiation - the Pharisees did that (see Matthew 5:20)! No, Christ was perfect because His heart was perfect, both in His submission to His Father and in His servanthood to people; that is to say, Christ was perfect both in His love for His Father and His love for people. This is problematic for us today. If Christ, indeed, loved God perfectly and loved humans perfectly, what does that mean for us? If a Christian is a "little Christ" and we are "being made into the image of Christ," how can I be perfect in my love for God and for others? The answer is found in regeneration, and is accomplished through the work of sanctification, yet will not be completed until the day of glorification. It is, as John Aaron White says, "the tension of the already and the not yet." We already have this new heart in Christ, but we do not own it completely until we are resurrected bodily. Concerning Regeneration: "And I will give you a new heart, and a new spirit I will put within you. And I will remove the heat of stone from your flesh and give you a heart of flesh. And I will put my Spirit within you, and cause you to walk in my statutes and be careful to obey My rules" (Ezekiel 36:26-27). This is what Christ accomplished for us! He gives us a new heart, soul, and mind - so that we can then fulfill the Law of Christ through Him! We receive new passions and new affections for God and others that we did not formerly possess. Concerning Glorification: "For I consider that the sufferings of this present time are not worth comparing to the glory that will be revealed to us" (Romans 8:18). There is coming a day when all will be made right, and our struggle against sin will be over - when we will finally reach the goal of being like Christ, out of the grace of the Father, and we shall love Him perfectly without any more struggle against our flesh. Concerning this love, this leads me to ask the question: "how well do I love God and others?" If Christ loved perfectly, then it would seem reasonable to examine His life and gauge myself against Him. When I did this, I was astonished at what I found. Reading a few passages from the Bible, perhaps of Jesus showing compassion to the woman caught in adultery and Jesus washing His disciples' feet, we often think we have the love of Christ understood. But what about when you read passages like Jesus wielding a whip and chasing the people out of the temple? Or the time Jesus called the Pharisees, "You white-washed tombs!"? Or what about the time when the Pharisees question why Jesus' disciples aren't washing before they eat, and Christ turns to them and says, "And why do you heap all these laws on people for the sake of your tradition?" Christ doesn't seem very loving in these instances, does He? On the contrary, Christ perfectly fulfilled the Law of God in all circumstances. Otherwise, He would not have been worthy to be our propitiation; "for to break the law in one instance is to break it altogether" (James 2:10). This is the clincher: do I truly love God and those around me? Or do I just want people to like me? Am I afraid of really loving people because they might not feel good around me anymore? Because I might embarrass myself? Because if the conversation turns toward sin or "negativity" or "uncomfortable subjects" this just isn't loving somehow? This is not love; this is selfishness, which is sin. In this age of tolerance, dominated by a mindset of not wanting to offend, Christians are deceived by the adversary to think that by tolerating ungodliness and all things profane, we are actually showing love to our neighbor. After all, if they feel bad about what they are doing, they might not want to hear about Jesus. If we look in the church, we see Bible studies that offer acceptance of all interpretations. After all, it's not loving to tell someone they are wrong - right? This is hogwash, bologna, and other such terms relating to pigs. What I am saying is not new. What I am saying is what bold men of God have said and practiced for centuries. Martin Luther boldly questioned the Church's corruption out of love for the body, which led to anger, death threats, and some book burnings - all uncomfortable things. Yet would we say that Martin Luther did not love God or people? Before that, Jan Hus spoke boldly about the truth of Jesus Christ, though it went against the Tradition of the day. He was burned at the stake for His love for God and people. 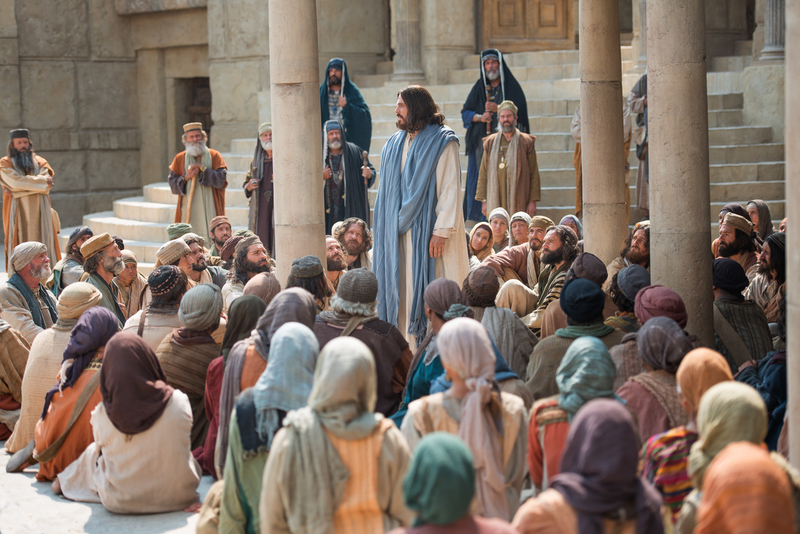 Though he upset some prominent leaders, would we say he did not act in the love of Christ? Richard Wurmbrand, in Communist Romania, refused to deny Christ and was imprisoned. In prison, he exchanged beatings by his guards for opportunities to clean out the cells of other prisoners, so he could preach to them the Gospel. Though he was imprisoned for breaking the Communist law, would we say Richard Wurmbrand was unloving because he offended the leaders of the Communist party? These men - and many, many other men and women like them - were bold in their love for Christ and for others. They were not tolerant, and they were not cruel. They were not appeasing, and they were not self-righteous. They loved as best their sanctified souls could love. I urge you, then, even as I urge myself, to take up arms against the adversary, and to love like Christ. Set aside the false things of tolerance of evil and appeasement. These are self-preserving things only and not worthwhile in the Kingdom of God. Of course, you must take this with balance: do not mistake hatred for boldness. To love Christ and people is not to go and burn down an abortion center, but it is to be intolerant of sin. To love Christ and people is not to break down the door of your lesbian neighbor and demand their repentance, but it is to offer to fix their broken garage door and to hear their story. "And these three remain: faith, hope, and love - but the greatest of these is love" (1 Corinthians 13:13). Lord Jesus, show us and teach us Your love. Amen. "Because law is, in its essence, an expression of God's character, it should be very clear to us that, since God can never change, the essence of the law can never change. The essence of the law is 'you shall love the Lord your God with all your heart, and with all your soul, and with all your mind' and 'you shall love your neighbor as yourself.' It can never be right for a finite, created being to love his infinitely glorious Creator with less than all his heart, soul, mind, and strength. Likewise, it can never be right for a finite, created being to love his 'neighbor' less than he loves himself or do things to his neighbor that he would not want his neighbor to do to him. The two great commandments are the unchanging moral obligation resting upon all men in all places throughout all time and eternity" (The Law of Christ, Charles Leiter, 129).